Although there is a wealth of information on ivory poaching, there is a gap in our understanding of how ivory is traded across the continent. 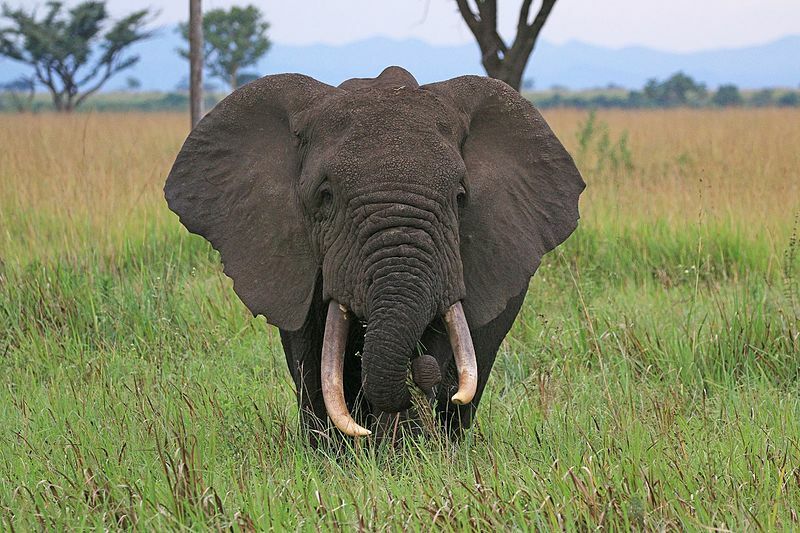 Kristof Titeca, a lecturer in International Development at University of Antwerp, turns the spotlight on Uganda, an important transit country that CITES calls a point of primary concern in the illicit ivory trade. The population of African elephants is estimated to have declined by 111,000 over the past ten years. Eastern Africa, for example, has experienced an almost 50% reduction in its elephant population. What does academic research tell us about these dynamics? There’s a wealth of research giving fascinating insights into poaching, the largely disputed terrorism-poaching, ivory markets, ivory confiscations, and a range of other factors. Missing from this research is one aspect: ivory smuggling. Very little is known about how ivory is traded on the continent. There is therefore a gap and a need for a better understanding of ivory’s trade structure. To bridge this gap, I set out to study illegal ivory traders in Uganda. Between 2012 and 2017 I interviewed a wide range of illegal ivory traders. I gained access through long-term research on illegal trade in general which has included studying illegal trade along the Uganda-DRC border since 2004. From around 2008-2009 onwards ivory started becoming an important commodity in trading networks. Ivory came largely from countries like the Democratic Republic and the Central African Republic. For its part, Uganda has served as the transit country – the country that goods are transported through to their final destination in a third country – for ivory. Between 2009 and 2014, an estimated 20 metric tons of ivory was trafficked through Uganda, mainly to Asia. The Convention of the Trade in Endangered Species, or CITES, calls Uganda a country of “primary concern” in the illicit ivory trade. It is listed as one of the ten countries worldwide “linked to the greatest illegal ivory trade flows since 2012.” Other countries include China, Malaysia, Thailand and Kenya. My work looked at how ivory is smuggled. Based on the evidence I gathered I conclude that it’s important to look at “nodes” of the trade. This can be both locations like border towns as well as people acting as middlemen. Ivory originates from a number of different places, and enters Uganda in a decentralised and uncoordinated way. Nodes are important because they’re crucial to collecting the ivory, storing it and connecting supply and demand. Both middlemen and particular towns play a central role in how this trade happens. Border towns are particularly important. They’re the point at which supplies of ivory are brought in from a variety of sources – including neighbouring countries. The Ugandan, Democratic Republic of Congo (DRC) and South Sudanese border triangle is an example of one of these nodes. Ivory comes from the Central African Republic, South Sudan and DRC, and is smuggled into the Ugandan border town of Arua near the Congolese border. This town links together ivory suppliers, buyers, and transporters, and acts as a storage place. Uganda’s capital Kampala is another example. Ivory comes into the city from the DRC border region as well as from other border regions (such as the border with Tanzania). From Kampala, ivory either goes to Mombasa port, or it goes to Entebbe airport. Recently, the airport and its handling company have turned into a hotspot for ivory smuggling. People, such as ivory traders, connect the local level with transnational actors. The ivory traders’ operations are centred around their connections with ivory suppliers, transporters and rogue government officials. These connections aren’t uniform. They vary among traders. The more powerful these connections, particularly with high level government officials, the bigger the reach of the traders. The bigger territory they operate in, the more suppliers they can in turn rely on. It also allows these traders to smuggle goods out of more difficult hot spots, such as the airport. Traders with less powerful connections limit themselves to smuggling ivory in their specific region. This can be a border region, for example, where they know the smuggling roads, transporters and some security officials. Corruption is always noted in research into the illegal trade in ivory. While corruption is important, it can conceal more than it reveals. My research highlights the importance of going beyond the initial analysis of corruption to unpack the different kind of connections which traders have with a range of individuals such as custom officials, police agents transporters. These connections are crucial in understanding the smugglers’ operations. My research also highlights the need to take local dynamics seriously. Although ivory is transported in a loose and decentralised way, these patterns are nevertheless key to understanding the global ivory trade. The transnational ivory trade depends on these local dynamics – nodes, and the connections they entail, offer crucial insights into how ivory is smuggled. Also here, power differences are crucial: addressing illegal wildlife trade shouldn’t limit itself to addressing small-scale actors – the transporters and suppliers. Instead, it should focus on the more powerful actors in these nodes, the ones connecting the local with the transnational, and who are fuelling the trade.